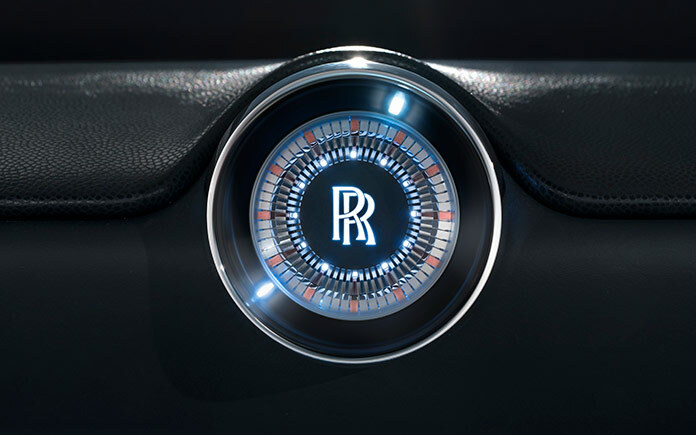 The prime leading luxury brand for motor cars, Rolls Royce, has decided to transcend the past and present marque, and scoot forward to catch the curve-ball of its future’s potential. 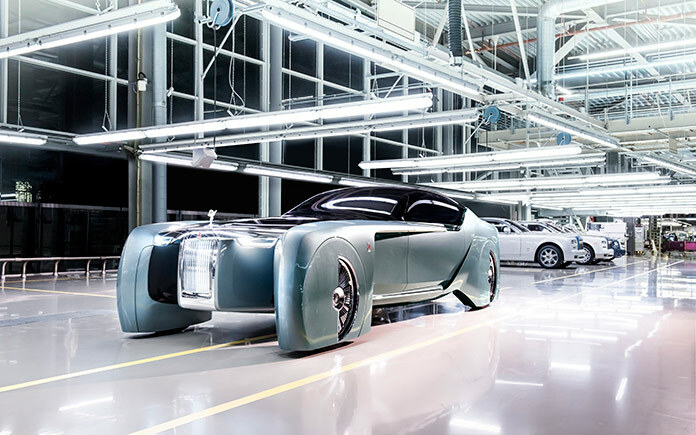 Where the brand’s motor cars are yet ultimately ruling the present day for BMW Group, the CEO and Director of Design of the company are adamant to become the new force. Their self-assurance, which is glorified by the phenomenal success of four productions; Phantom, Ghost, Wraith and Dawn, they believe they have the firmest footing for an innovation that not only entertains the aficionados of the advanced future but meets the demand for luxury mobility in its purest form. 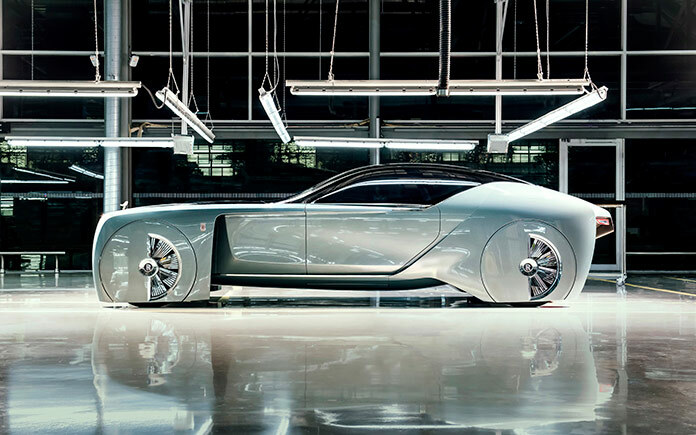 “Rolls Royce Vision Next 100” is the new concept. An individualization of luxurious mobility that looks into the potential desires of the wealthy connoisseurs and patrons of future motor cars. 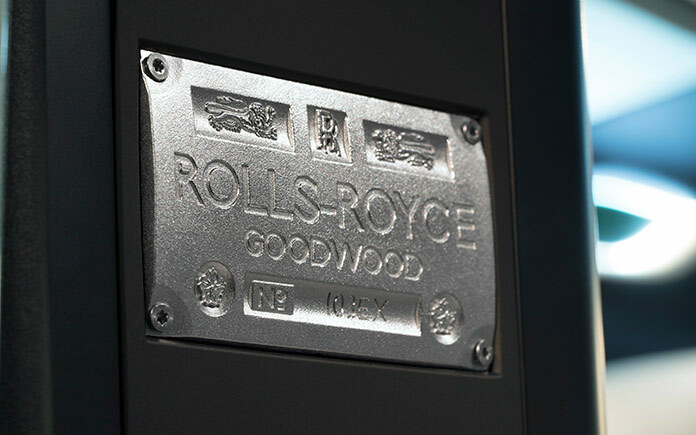 Apart from 2016 being the centenary celebratory year, Rolls Royce has inaugurated an authentic insight of imminent motor cars being a delicious mixture of advance design, intricate mechanics and appealing vision for the next many decades. 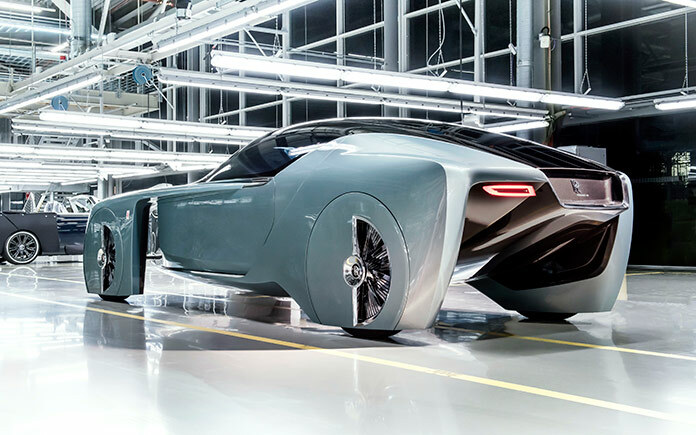 Based on four main beliefs, Rolls Royce has dared to let fans dream of some staggering features turning fast into reality. 1. THE PERSONAL VISION: A personal vision which will get as intimate as personal concepts of every individual customer. 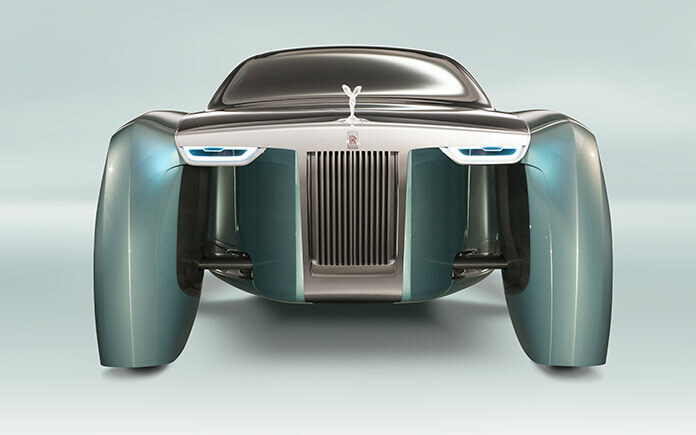 Rolls Royce Vision Next 100 has proposed to produce strings of emotional attachment between the car and its owner by personalizing the entire shape, silhouette and design into a unique Rolls Royce masterpiece, each time a customer buys a car. 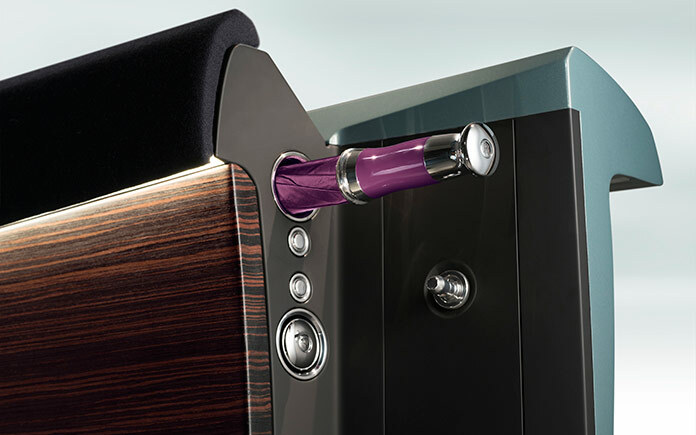 Rejecting notions of utilitarian marque, Rolls Royce will now enjoy highly appealing designs of personal preferences by using premium technology and advanced computers. 2. THE EFFORTLESS JOURNEY: Eleanor Thornton, the bonnet ornament on Rolls Royce cars is now progressed to become the full virtual chauffeur and entertain an “effortless” journey with respect to mechanical working. The Vision vehicle “drives” to and fro, “predicts” the surrounding and “skims” across the road through powerful, zero-emission drivetrain, all thanks to the artificial intelligence in the Eleanor herself. 3. 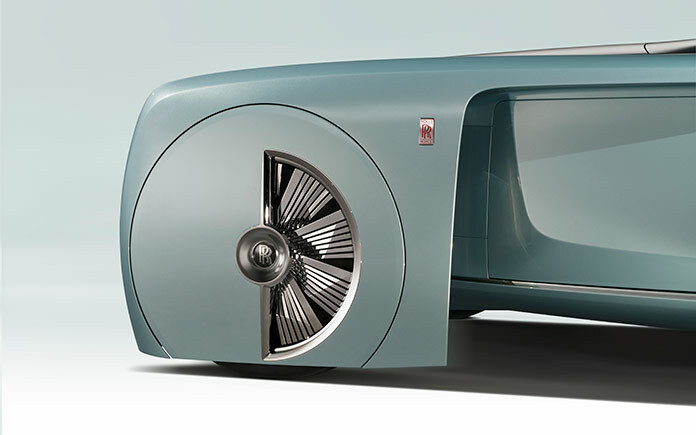 THE GRAND SANCTUARY: A cocooned interior with an exquisite furnishing in the best of coachwork, Rolls Royce Vision Next 100 is the idea of grandest car interior that savors the regal display and settles on nothing less than sheer royalty. 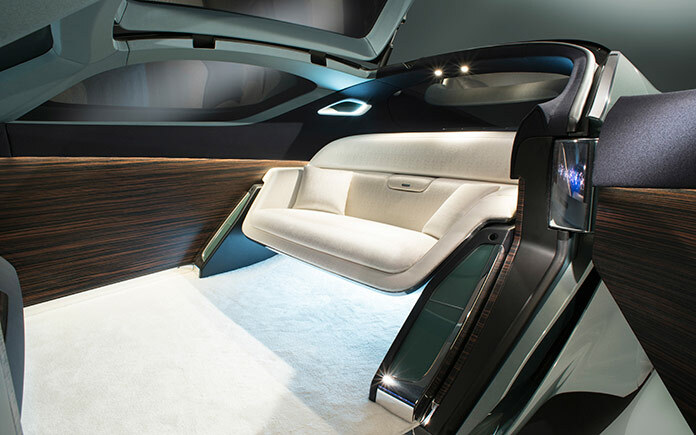 In its spirit, the vehicle is enclosed in fine handcrafted work, deep pile ivory wool carpet, wood paneling and sculptured artwork with lighting and materials of singular, unparalleled pieces. 4. THE GRAND ARRIVAL: As aficionados wait with bated breaths on the points of their toenails, Rolls Royce continues with the air of truth and sense of power to nothing but impress the fans for the Grand Arrival. 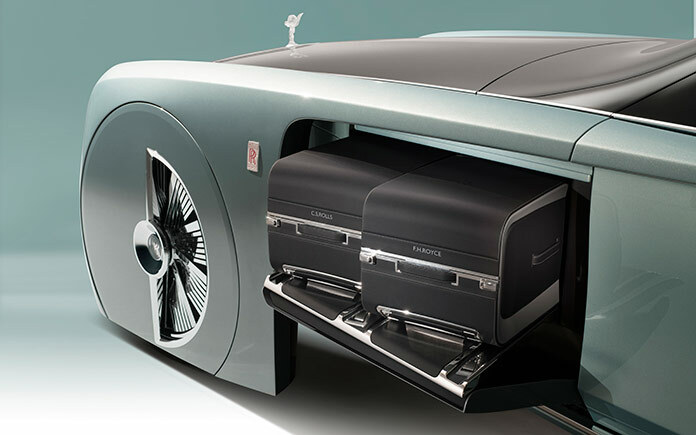 The size, a mighty 5.9 meter length and 1.6 meter height as revealed, reflects the iconic imposing of the Rolls Royce; the long bonnet, The Spirit of Ecstasy, the Pantheon grille and the hallmarked portioning of the vehicle. Its charismatic presence is further enhanced by the way the passengers alight: in a generous gesture, the roof and coach door open to reveal the interior of the vehicle. Passengers simply stand up and gracefully step out. The spectacle is additionally underscored by light projections, which create a “red carpet” showing the way out and turn every arrival into a Grand Arrival. 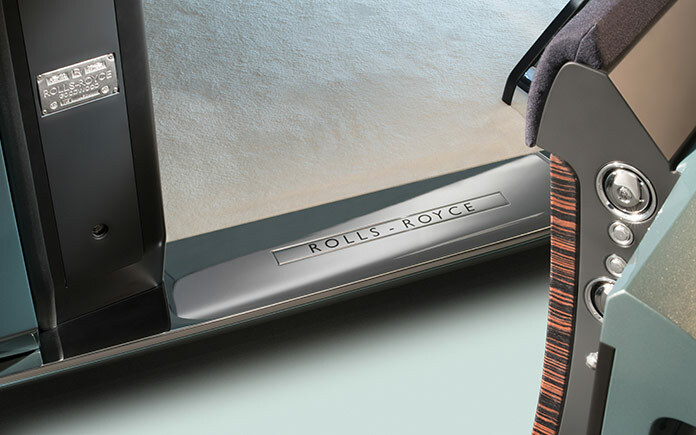 An intelligent mechanism opens a hatch in the side of the car and presents the Rolls-Royce bespoke luggage to the waiting hands of the porter.